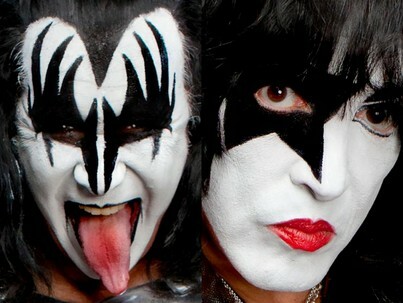 KISS members Paul Stanley and Gene Simmons are joining forces with Rock & Brews, a restaurant chain that "celebrates great rock & roll, beers, burgers, pizza and more all in our backstage beergarden," according to their website. Stanley and Simmons will be on hand at the chain's Los Cabos location when it opens on March 22. "I am honored to join the Rock & Brews lineup, and am especially excited for our first international location in Los Cabos," said Stanley. "Rock & Brews is truly a unique concept that embraces music and concert-style social gatherings like no other dining venue." Fans who plan on attending can purchase the Kiss Army Rock & Brews package, which offers deluxe two-night accommodations for two, a private reception and photo op with Stanley and Simmons, a breakfast buffet and special t-shirt. Packages starts at $749.